This is the result of a funny game skaifox had set up in Confuzzled's Dealer's Den. He had a basket of papers and you chose two for 5 pounds, and he'd sketch the result. 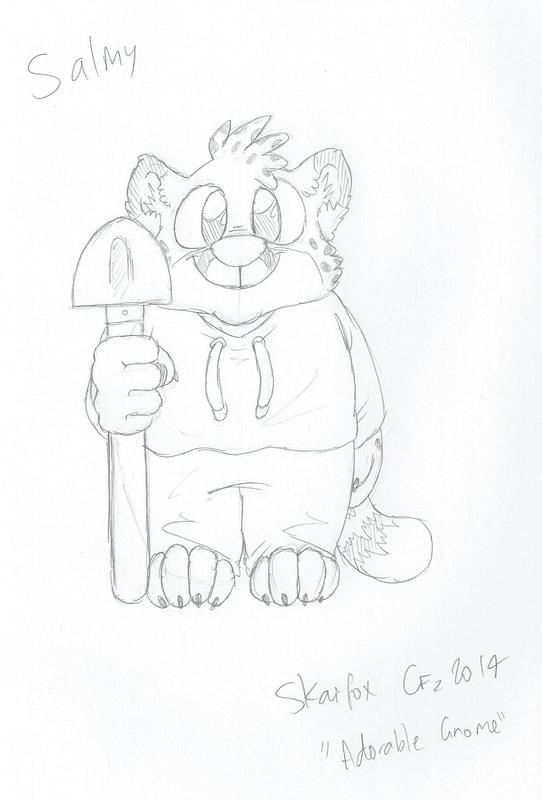 My two papers said 'adorable' and 'gnoll'.